The BBC has confirmed the United Kingdom’s participation in the 64th Eurovision Song Contest held in Tel Aviv, Israel next May; as well as opening the public song submissions to find the UK’s entry. As last year, all public entries will be carefully considered and shortlisted by a representative panel of official UK Eurovision Fan Club (OGAE UK) members. At the same time, entries are also being sought from leading professional songwriters, with guidance from songwriter, publisher and new Music Consultant for the BBC, Greig Watts. Greig Watts says: “The Eurovision Song Contest just gets bigger and better and more exciting for me each year, and I’m sure Israel will deliver another amazing contest. I’m so happy to be involved this year for the UK; it really is a dream come true, and I’m looking forward to working with the team to get the strongest possible song and result we can for the UK, like we do on the world music stage. There’s no guaranteed song-writing formula for Eurovision as each year something different wins. I’m looking for melodic songs with impact for the arena as well as on TV. Songs that instantly hit you and never leave your brain!" 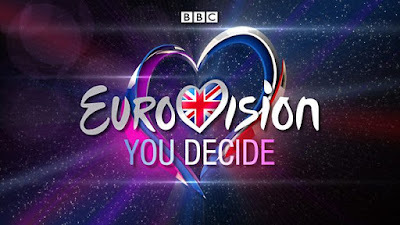 A final shortlist of songs, from either route of entry, will again be showcased to the UK public, who will have the chance to vote for their favourite in Eurovision: You Decide on BBC Two, details of which will be announced later this year. The closing date for submissions is Friday October 26, 2018. The 64th Eurovision Song Contest will take place at the Expo Tel Aviv in Tel Aviv, Israel with the Semi Finals broadcast on 14 and 16 May 2019 on BBC Four and the Grand Final will be broadcast on 18 May 2019 on BBC One. As one of the 'Big Five' countries (UK, Spain, Germany, France, Italy) plus last year's winner Israel, the United Kingdom does not have to compete at the semi-final stage of the competition and will gain automatic access to the Grand Final in 2019. The OGAE is the largest independent Eurovision fan club in the world and its UK branch has around 1,000 members. Eurovision: You Decide is made by BBC Studios Production, home to some of the UK’s most loved entertainment and music programmes, including Strictly Come Dancing, Glastonbury and Children in Need.